Don’t know where to start on your Club or Association’s inclusion journey? Download the Inclusion Action Plan to get started! 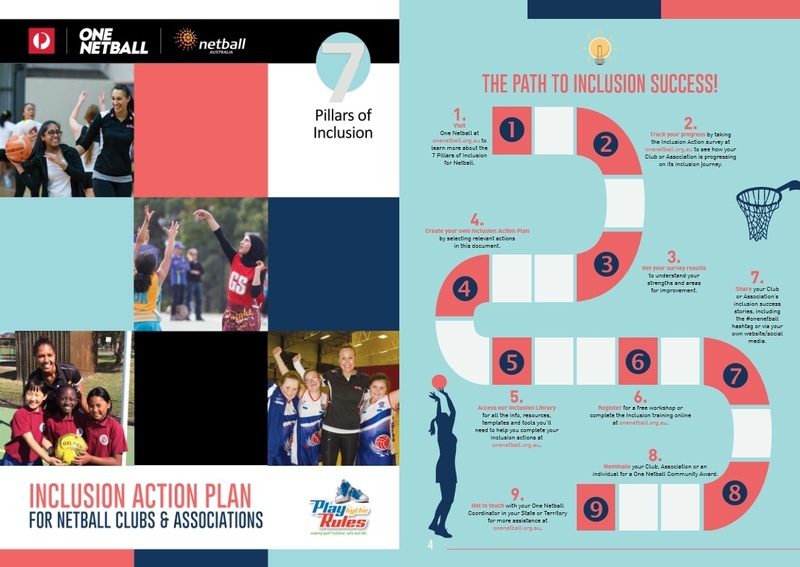 The IAP provides a list of short, medium and long term actions that your Club or Association can take to engage and support everyone from your local community in your netball environment. This may include (but is not limited to) multicultural communities, Aboriginal and Torres Strait Islander communities, people with disabilities and other communities who face barriers to participation in netball. The IAP is based on the 7 Pillar of Inclusion model, which was developed by Play by the Rules (PBTR). PBTR is a national initiative backed by Federal and State governments that promotes safe, fair and inclusive sport and provides an inclusive sport framework for sporting organisations from the grassroots to national level. Once you’ve read the Inclusion Action Plan, log in to our Inclusion Action Survey to track your progress!